Designed by Isabelle Lee. Carmen is a magnificent 15.75 inch bear with a five-way jointed body handmade from the finest mohair and alpaca. 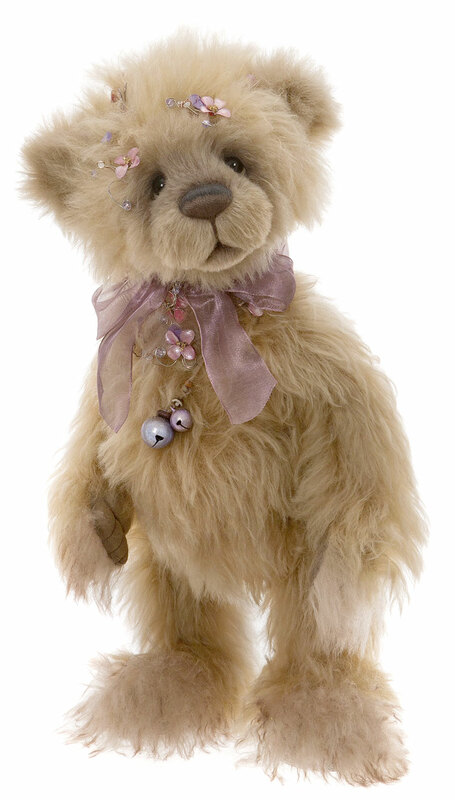 Her fur is beautifully accented with delicate beadwork and Swarovski accents. Carmen's unforgettable face comes together with a hand-stitched nose, accent stitching, subtle airbrushing and the most friendly glass eyes backed with ultrasuede disks for an adorable 'love me' look. Her ultrasuede paw pads feature embroidery, sculpting and airbrushed details. For the final Charlie Bear touch she wears a beautiful organza bow and ornate necklace of bells. 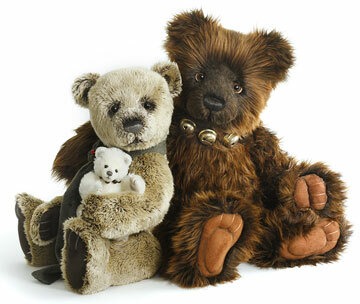 A very lovely and special bear to add to your collection. 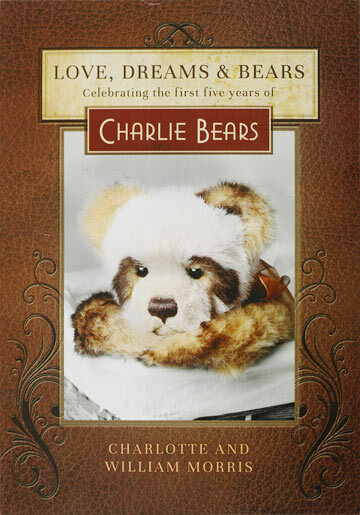 Carmen Bear is part of Charlie Bears 2019 FOLKLORES & FABLES: Isabelle Collection. Limited to only 350 pieces worldwide. Although this is a collectors item, this bear is suitable for ages 14 years and up.